The Official W.C. 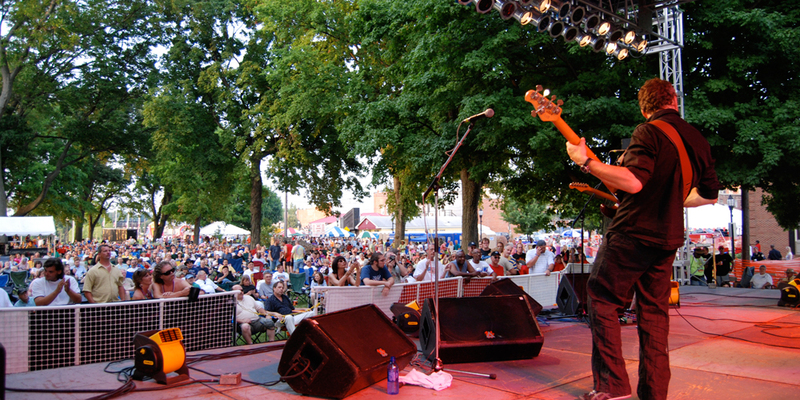 Handy Blues & Barbecue Festival After Parties After Parties will take place after the music outside ends on Thursday, June 18; Friday, June 19; and Saturday, June 20. There will be live music and the Handy Blues & Barbecue Festival performers will be invited to hang out and jam! The after parties will take place at Rookies Bar and Restaurant, 117 2nd Street, Henderson, Kentucky 42420 and Delker’s Bar & Music Venue, 122 North Elm Street, Henderson, Kentucky 42420. Each night, one $5.00 ticket purchased will gain access to both venues holding the after parties. Tickets will be available for $5.00 at the venue doors, at the Festival Souvenir Booth during the festival, and can be purchased in advanced at the Henderson County Tourist Commission, 101 North Water Street, Henderson, Kentucky 42420 (Monday through Friday, 9:30am-4:30pm). Tickets are limited and advanced purchase is recommended. Special thanks to the after party sponsors: Kemper CPA Group; Joy, Eric, Madi & Hayden Ries; & Edward Utley Jr, Inc.!